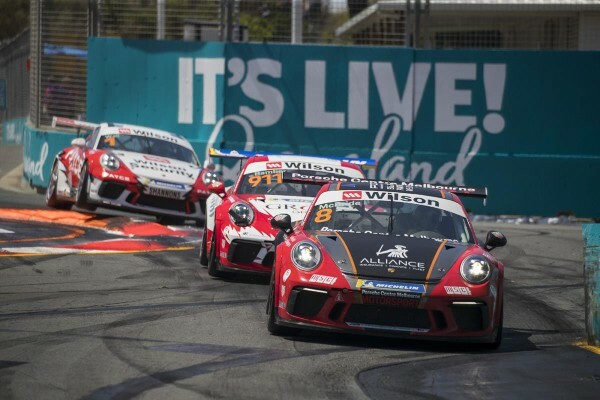 Nick McBride and Adrian Flack have swept Saturday’s two Porsche Wilson Security Carrera Cup Australia races in Gold Coast, while title leaders Jaxon Evans and Stephen Grove have secured unassailable leads in the Outright and TAG Heuer Pro-Am standings with one race remaining for the season. The opening Gold Coast race was the final of the six-race 2018 Endurance Cup. 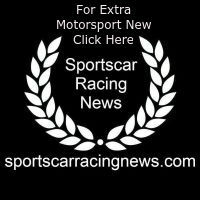 McBride managed to pass pole-sitter David Wall early in the race before securing a narrow victory over Wall and Porsche Works driver Earl Bamber. Second place for Wall was enough to secure him the 2018 Endurance Cup title in the Pro ranks following a strong end to the endurance series, finishing in the top two in the final three Endurance Cup races of the season. Grove finished race one sixth in class, though it didn’t affect his Endurance Cup hopes after building an unassailable lead after the Bathurst long-distance race. In the sprint race two, McBride led from the opening lap however this time he had Bamber, not Wall, in his rear-view mirror. While Bamber applied pressure to the Melbourne racer, McBride was able to remain at the front and eventually pull a small margin on Bamber by the race two chequered flag. “I am really happy with the two race wins. The last race was great with Bamber behind me, he put a lot of pressure on me, especially in the mid-part of the race,” said McBride. Third and second was an impressive performance for Bamber in his solo debut in Carrera Cup Australia and will start the final race of the season on the front row alongside race three pole-sitter McBride. Flack was able to follow up on his race one win with another victory in the final race, finishing five seconds ahead of his nearest Pro-Am rival Anthony Gilbertson. With one race remaining, both Evans and Grove can’t be surpassed in the Outright and TAG Heuer Pro-Am standings, respectively. “I’m really happy with how today went. It was pretty cool to wrap up the Carrera Cup championship in the first race and also to bring the car home safely. I really can’t thank the team and my supporters enough. This is really special,” said Evans. With an impressive 97-point lead entering the final race, Grove is the champion-elect for the TAG Heuer Pro-Am and is en route to being crowned the class champion for the third time. The 2018 Porsche Wilson Security Carrera Cup Australia season will conclude with race three on Sunday at 1:05pm.